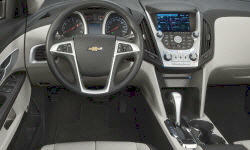 Why the 2013 Chevrolet Equinox? A week ater purchasing this car we took a 1500 mile trip for our 45th anniversary. Car averaged almost 30 MPG! Miss the small compartments on each side of the console!! Seats are much better than the 2005 equinox!! Water would stain the old seats!!! 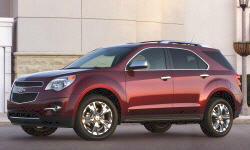 Why Not the 2013 Chevrolet Equinox? So far no concerns! Wife loves the car. WIfe Happy, i'm happy! !